1981eagle, those embroidery pieces add a great touch to your den. Did your wife find a pattern for the shaving themes? 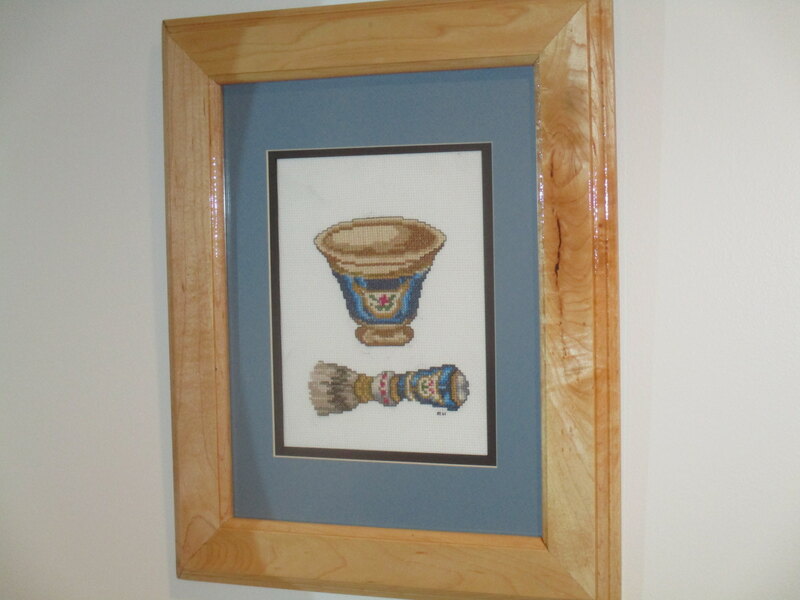 Your wife did a fantastic job with the cross stitch, and I really like the frames. (06-18-2017, 07:56 AM)TheLegalRazor Wrote: 1981eagle, those embroidery pieces add a great touch to your den. Did your wife find a pattern for the shaving themes? She found the patterns while scrolling though a cross stitch pattern site. Very thoughtful of her. It's nice that her hobby could add to yours. Those patterns came out great. Excellent skills. Those cross stitch pieces add a classy touch to the den! Very nice! Very nice! I was banished (happily) to the down stairs bathroom which I made a mine, decorations and all. Two daughters later it's now 75% all mine lol. That is top notch all the way! Love it! Thanks - My wife did one mre cross stitch, and I built another frame too! Great to have a talented and supportive wife. And the woodwork ain't bad either. That is a very nice setup. I really like what you've done with the den. 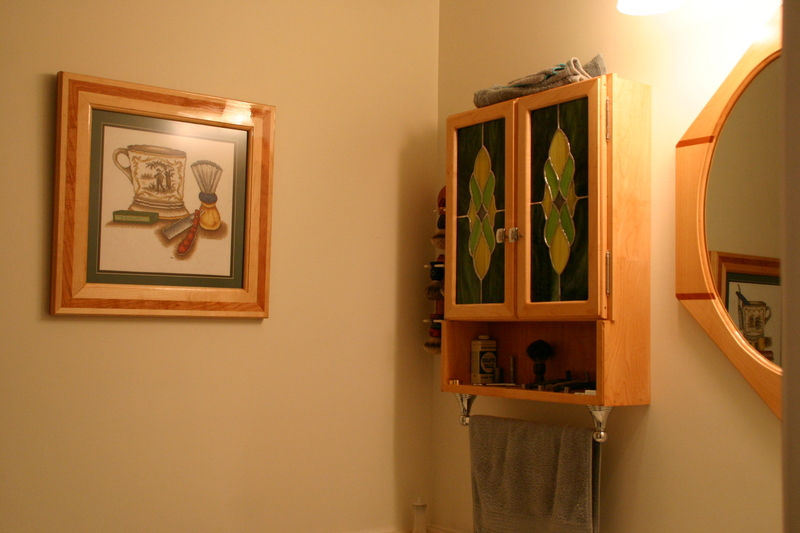 The cabinet with the stained glass is terrific and, to my mind, the cross stitch adds a very nice touch. I've been flogging Google three ways from Sunday to try to find kits like that. Do you know where they came from or even the company that made them? HI Dave, no kit. My wife scours cross stitch pattern free Web sites. There weren't many out there, but she found them. I'll ask her where and PM you if she can find them or saved them. Just saw this going through the posts and your room is done up proud. Nice work by both of you.